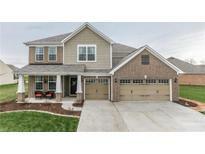 Below you can view all the homes for sale in the Hession Fields subdivision located in Brownsburg Indiana. 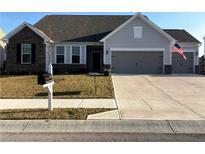 Listings in Hession Fields are updated daily from data we receive from the Indianapolis multiple listing service. To learn more about any of these homes or to receive custom notifications when a new property is listed for sale in Hession Fields, give us a call at 480-577-2304. The backyard is fully fenced with plenty of privacy and no neighbors behind you. MLS#21632181. F.C. Tucker Company. Custom patio area is great for entertaining and relaxation. MLS#21632321. Jeff Paxson Real Estate Browns. Don't miss out on the opportunity to own this home that has it all! 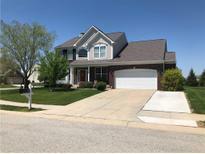 MLS#21628593. Smythe & Co, Inc.
Back yard has full privacy fence and paver patio. MLS#21619702. Sold It Realty Group. Even the 3 Car garage is great with epoxy floor & plenty of storage! MLS#21619404. Carpenter, REALTORS®. Photos may be of a similar model. MLS#21608129. CENTURY 21 Scheetz. 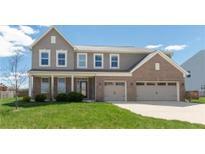 ceilings, stone gas fireplace, walk-in tile & glass shower, double vanities in both bathrooms, walk-in closets, split bedroom floorplan, sodded yard, upgraded lighting and ceiling fans, interior porch elevation, brick wrap, and more. MLS#21605572. Mike Watkins Real Estate Group.